Don a pair of ice cleats this Winter and avoid recordable injury from treacherous “ice skating in the workplace.” Winter started on Friday, December 21, 2018 and ends on Wednesday, March 20, 2019. Over the course of 90 days, outdoor work environments are most susceptible to icy conditions that can lead to slip, trip and fall hazards because Winter is the coldest season of the year. Precautionary measures are needed to avoid “slipping on the ice” and all regions, including the South, need to realize that being proactive will better prepare everyone for the next freeze event. Below-zero outside temperature… Leaking safety shower… Put them together and what do you get? Ice! Ice is water frozen into a solid state and in this scenario, the ice is transparent across the pavement. An outside worker is walking along when he or she slips and gravity shoves him or her to the ground with enough force to fracture the left arm. Fracture = OSHA Recordable! Now, how would you prevent this preventable injury? Why is the safety shower leaking? Fix the leak! No leak = no ice, correct? Perhaps, but keep in mind that other factors can contribute to ice formation. 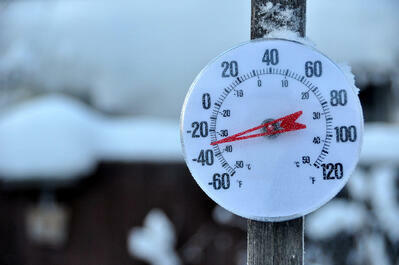 The outside temperature is below zero. When the temperature of water falls to 0 degrees Celsius (32 degrees Fahrenheit) and below, it begins to change to ice. Evaluate the work areas and make them safe: 1) Apply sand to walking/working surfaces, 2) Remove snow and ice from surfaces frequently, and 3) Identify safe footpaths. Remember: Planning is only effective when coupled with effective communication – make sure your outdoor workers receive winter weather awareness training before your next freeze event. Dozens of industries, e.g. – aerospace and defense, chemical plants, hotels and casinos, railroads and waste management – utilize ice cleats when workers perform outdoor tasks in winter weather. There are so many options and sources for ice cleats, but do not get frustrated when trying to make the best choice. OH&S Online said, “Ask yourself – what else do I need from an ice cleat other than just traction?” Remember: ice cleats must fit tightly against the work shoe because a loose fit can increase risk of slips, trips and falls. Ice cleats can be slippery on stone or tile surfaces and they can create a tripping hazard with steel bar grating, so use extreme caution around such surfaces. Winter is hardly over! 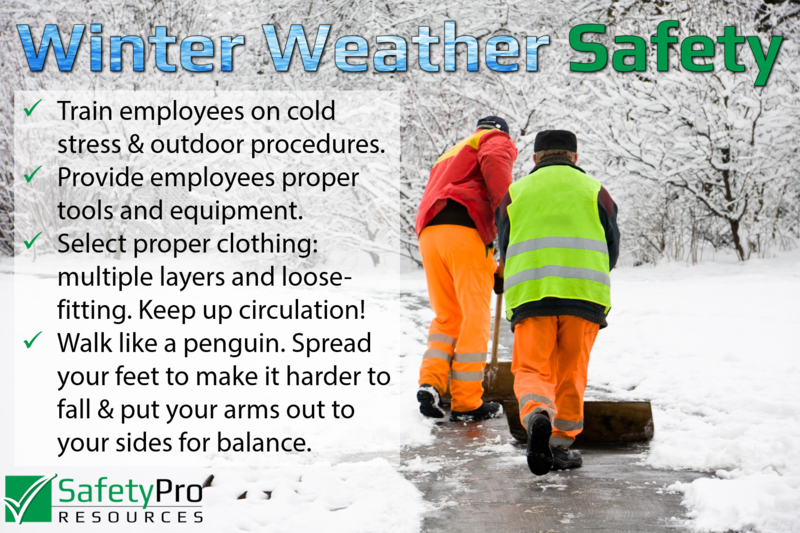 Instead of chilling out and waiting for Spring or worse – another recordable injury, make sure proper training is done, proper clothing is worn, and every employee is staying warm and safe throughout every day. Put a freeze on your injuries (and recordables) once and for all!